One man's journey through virtualization and general geekdom. Google Android... take it or leave it? 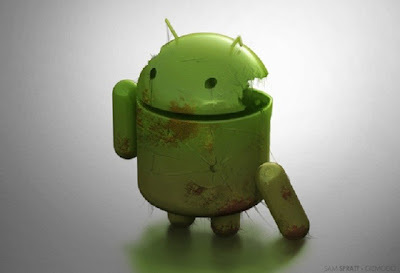 So I am setting forth a challenge to all you Google Android lovers out there! Help me tune my Android device so it performs the way *I* want it to! After all, the argument I always hear from Android fan-boys is how customizable it is and its "openness". I am not interested in comments bashing Apple or iOS or an opinion on which is better. I am saying that I would like to change certain things about my Android device to make it work the way I want it to... and according to so many Android users out there, it should be a piece of cake. So far I have not found what I am looking for. I can NOT root my device. This is a work related device that I have to use with a product that will not work if the device is rooted (it checks for this). However, if anyone tells me the only way to fix my issues is to root the device, then I would say Android is no better than iOS since I can jailbreak an iOS device and do pretty much anything I want with it as well. I also do not want to have to spend a lot of money to fix my issues with the device. I have no problem spending a couple dollars on applications and such that will make using the device better, but I don't want to spend a lot. I currently have an LG Spectrum phone that I only use over WiFi (I do *not* have cellular service for this device and do not intend on getting it). I do not intend to make this my phone, but I do still attempt to use this device for many different things which I will discuss later. For mobile connectivity I am able to use my regular phone as a personal hotspot, so I can have it access data whenever I need it to. 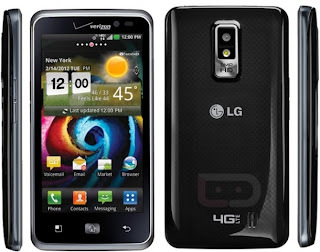 The stock LG UI (I believe this is referred to as the "Launcher") is pretty pathetic. There are certain elements I hate and want to get rid of, but they seem to be locked in place by LG and Verizon... this seems to coincide with Verizon specific applications that I don't seem to be able to uninstall... I would call this bloatware. I have been messing around with GO Launcher EX and other applications to make the experience better. GO Launcher is certainly better than the stock launcher, but I still have some things that annoy me that I don't believe have anything to do with the launcher. When listing out my "issues" I will avoid any that are hardware related because that is not directly the fault of Google. I say "not directly" because, unlike Microsoft who had very tightly controlled specifications for their latest round of Windows Phones from 3rd party vendors, Google doesn't appear to dictate any specs that directly impact user experience. That is a problem unto itself, but you could easily mitigate that by buying a Google Nexus device which has much tighter control over it. However, I feel I need to say one thing that is fairly common across the latest crop of Android devices: They are too damn big for single-handed use! I think the big displays look great just like the next person, but after I use my Android phone for a while and go back to my iPhone I truly appreciate the dimensions of the iPhone for single-handed use (which I do a lot). With the iPhone I can just about reach the entire front surface of the phone with my thumb, and certainly the entire screen area... not even close with the big Android devices. But I'll just leave it at that, and I realize there are smaller Android offerings. 1. Uninstall Those Pesky Apps - I'm okay with apps that I can't get rid of, as long as they don't insist on running in the background using up my precious battery life! I hear from Android users that there are no apps you can't uninstall. Even if I can't uninstall them (without rooting the phone), at least tell me how to stop these things from running all the time in the background. Every time I kill them they show back up. It bugs the crap out of me. 2. Stop Apps and Processes From Running All The Time - I realize there will be certain system processes that must run all the time, but I have other applications and games that are always running in the background... even if I kill them they come back! Some of these revolve around issue #1, but some of them I want to keep installed, just not run all the damn time. I understand the benefit of "true" multitasking in Android compared to other platforms (like iOS), but this one is a detriment if you can't easily stop apps from running in the background. 3. Why Isn't There a Quick Way to Jump to the Top? - This one I am going to pull straight from iOS, because it is SOOO nice to have and use! Let's say I am in Google+, email or a similar app. I may have scrolled very far down a list of things (say Status Updates) and I want to see what has happened since I have been reading through them. On iOS I can simply tap the top of the screen, in any app, and it rockets me up to the top of the window... with Android (at least the phone I have) I have to scroll all the way back up to the top which is agonizingly slow, even with velocity scrolling. I am hoping this can be accomplished with a simple add-on or something. 4. User Interface Consistency - It would seem that app developers don't have to follow any guidelines in UI design, so the end result is that it is not as simple to use from app to app. I know in iOS applications developers have to follow certain UI rules within their application or they get rejected until they fix those. This, in my eyes, is a very good thing... because it means that all of the applications are predictable as it concerns my interaction with them. It makes it easy to install any application and use it as if I have used it forever. I'm not sure there is any fix for this other than Google implementing some form of control on what applications can be released through its *own* store. I understand some people don't see a problem with this and want the "openness" of the device and application market, but I think it would go a LONG way with user retention and adoption if something like this was followed... even if only for the "official" Google Play store. Those are probably my biggest issues with using Android. I may update this post in the future when something else bugs me, but addressing these four (maybe even just 1-3) would make me much happier.